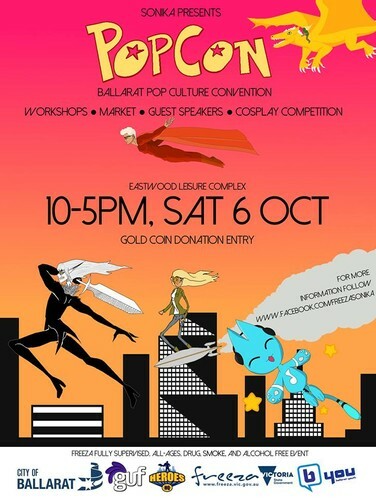 Get yourself down to PopCon, Sonika’s inaugural pop-culture convention: a space to express appreciation for the best parts of the media we consume, from movies and TV to comic books and video games. The day will involve market stalls full of merchandise, free family activities a variety of free workshops, special guests, Guf gaming space, and a chill corner to relax in with comic books and more. This event is a FReeZA all-ages, drug, smoke, and alcohol free, and fully supervised event. Gold coin donations at the door will go towards supporting a local youth LARF program.